The last time I had my hair trimmed I was given this tip for getting a healthy shine to my hair, and I have finally gotten around to trying it. If your hair could use a little extra shine, give this a try. I’m glad I did! 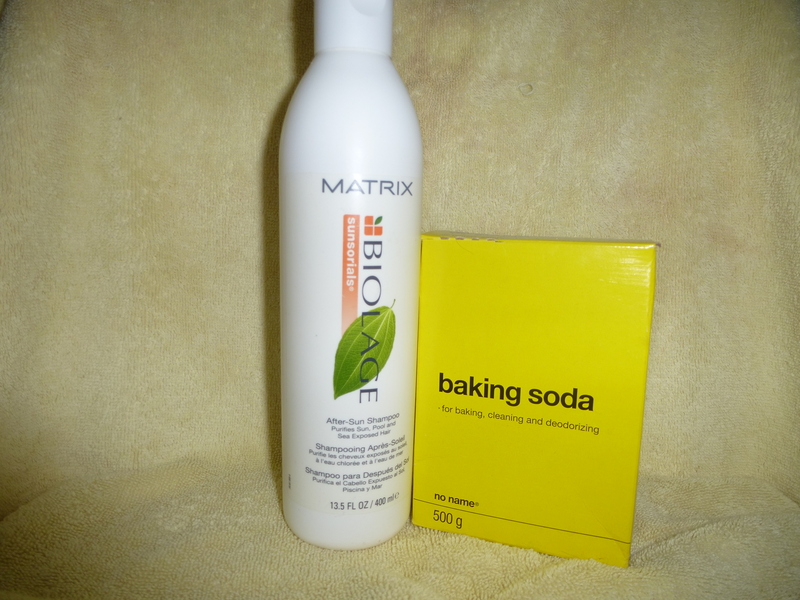 Baking soda and shampoo are all you need for a little extra, healthy and natural looking shine! Prior to getting in the shower combine your regular amount of shampoo with a dash of baking soda in a bowl and give it a quick mix. In the shower use the baking soda and shampoo mixture the same way you would use your shampoo on any given day. I was told to repeat this no more than once a week. On top of giving your hair a healthy shine the baking soda is also supposed to help remove the build up of excess hair product! As I said, I am happy with the results but I would love to hear from other people who have tried it – what do you think? Was anyone unhappy with the results? To all my fellow Canadians, I hope you have a fantastic long weekend. I’m keeping my fingers crossed that this Canada Day weekend brings some nicer weather. Thank you for reading and I hope you’ll check back. I do not anticipate the next post will be until next Wednesday. This entry was posted on June 28, 2013, 9:42 am and is filed under DIY, DIY Beauty, Tips & Tricks. You can follow any responses to this entry through RSS 2.0. You can leave a response, or trackback from your own site. how interesting!! I’ve never heard of this til now… hmm…. maybe just one day i’ll work up the courage to try this! Imagine all the $$$ i’ll save on shampoos!! !